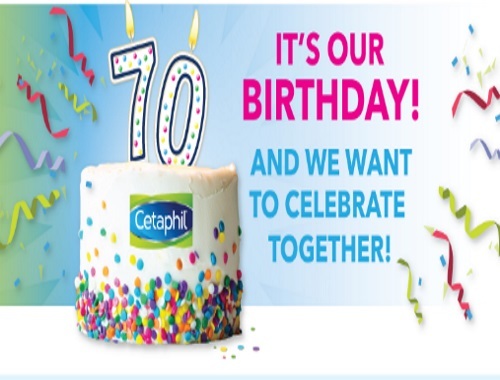 Cetaphil is celebrating their 70th birthday with a contest! Enter to win 1 of 70 Cetaphil prize packs! To enter the contest, write a comment on the Cetaphil Facebook page linked below to the question: “What is the BEST birthday present you have ever received?” for a chance to win. • a personalized 1 L bottle of Cetaphil Gentle Skin Cleanser with your name on the label! Winners will be announced August 14.